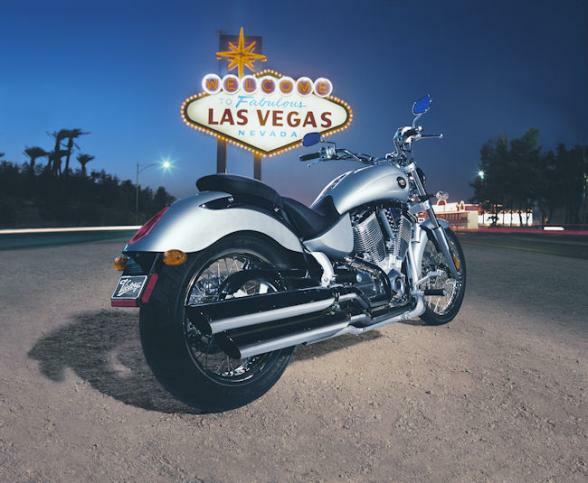 Start in exciting Las Vegas then spend eight days riding through some of America’s famous National Parks. 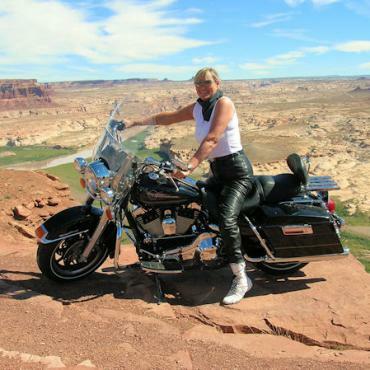 Visit Hoover Dam, cruise along iconic Route, ride through the beautiful Red Rocks in Sedona before making your way to the awesome Grand Canyon. Then it's on to Zion National Park before heading back to Las Vegas for a final night. Welcome to Las Vegas! 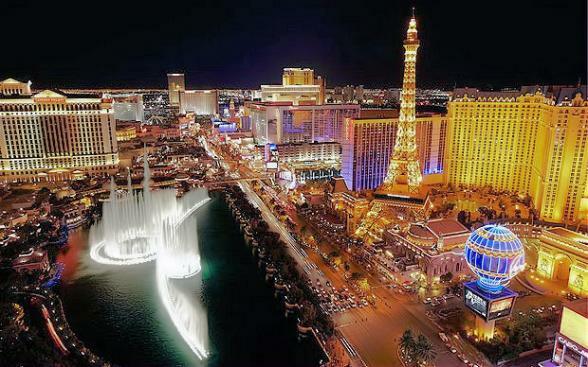 Spend the afternoon and evening exploring the strip. Remember to get some sleep though, for tomorrow you ride! 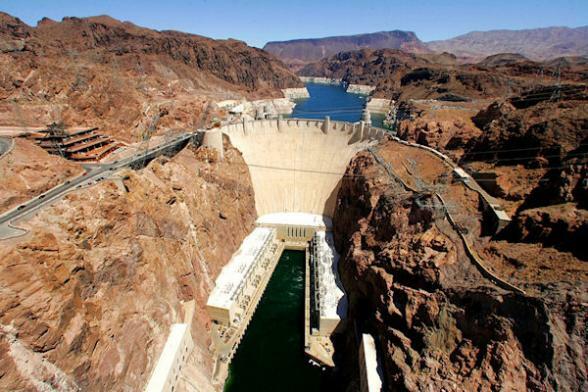 This morning you pick up your bike and head southeast to Hoover Dam – one of the world’s greatest man-made structures, and one of the tallest dams ever built. 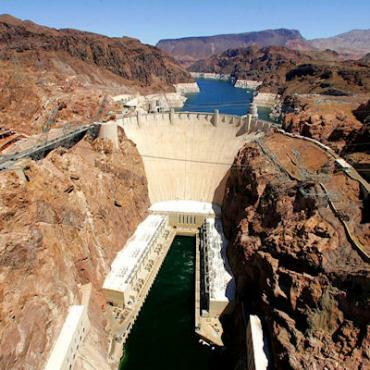 Designed to block the Colorado River and provide low-cost electricity for the cities of the southwest – be sure to allow time to explore the Dam, there are tours normally available on the hour. It's off to Kingman, Arizona next via Lake Mead National Recreation area and the Cerbat Mountains, a very scenic ride indeed. Kingman is considered the “Heart of Historic Route 66”. 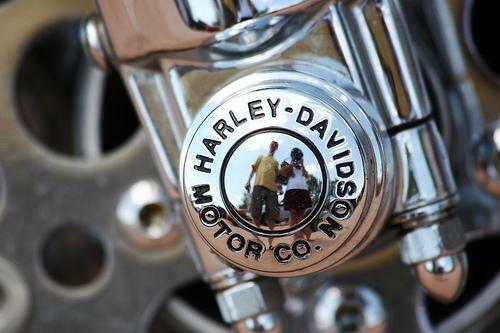 For a touch of Route 66 nostalgia pop into the Historic Route 66 Museum here. You overnight in Kingman. Today you follow the Mother Road, Route 66 from Kingman to Peach Springs, Arizona. 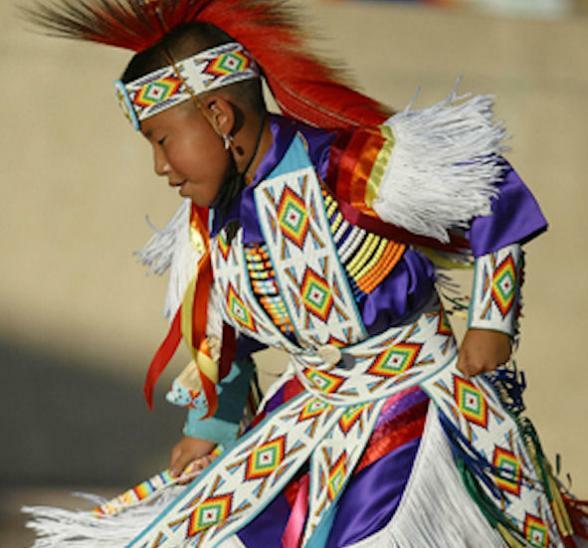 This is the trading center and headquarters for the Hualapai Indian Reservation, which covers nearly a million acres between the town and the Colorado River. As you travel along Route 66 you'll come across the quaint Route 66 town of Seligman. Stop for lunch here, it's a cool place. Next it's time for a scenic ride through Prescott National Forest. 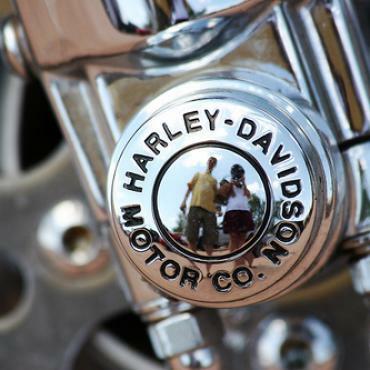 Before you arrive in your final destination of the day, Sedona, Arizona be sure to visit Jerome, an old mining town, and a very popular stop for motorcycle riders. Sedona will bowl you over. The physical beauty here combines the mountains of Vermont, the rocks of California, and the clay of Georgia back roads. In the evening stroll along the main street and enjoy the wonderful Mexican restaurants. Overnight Sedona. From Sedona you head north to Oak Creek Canyon – probably the most intimate spot on the southern edge of the Great Colorado plateau. About 16 miles long and rarely more than 1 mile wide, the canyon is known for its spectacular coloured white, yellow and red cliffs dotted with pine, cypress and juniper. 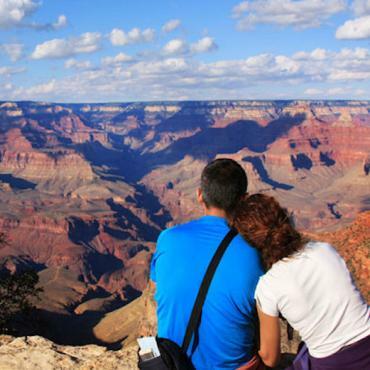 Enjoy the desert scenery as you cruise along the SR64 to the mighty Grand Canyon. Overnight Grand Canyon. 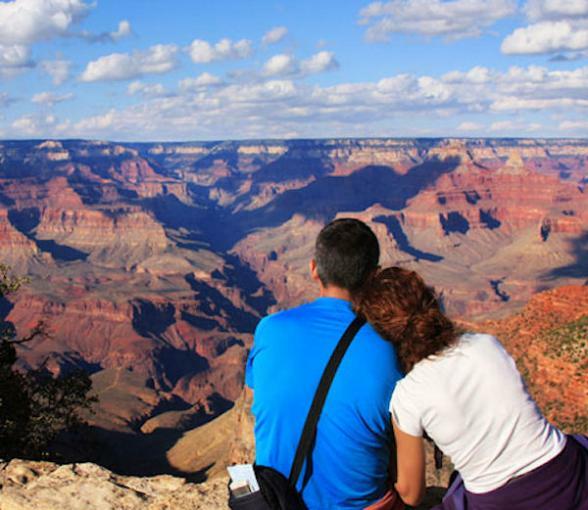 Enjoy sunrise and the morning at the Grand Canyon before cruising along the South Rim. Travel via the old trading post of Cameron before heading off to Page, Arizona. You are in Navajo Country here – legend has it that this barren land was a bewitched place. If time allows take a float trip on stunning Lake Powell. This 186 mile long lake is one of the most popular in the USA and is set amid deep canyons, rocky outcrops and the spectacular scenery of Glen Canyon National Recreational area. You overnight in Page. 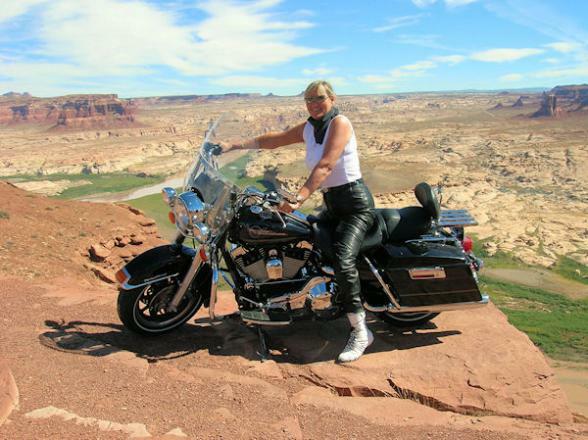 From Page you head west and cruise through the Vermillion Cliffs and about 8 miles out of Page you will enter Utah. The scenery dissipates and the long straight roads change little until you get to the section of Grande Escalante – arches striped red, brown and white dot the landscape here. 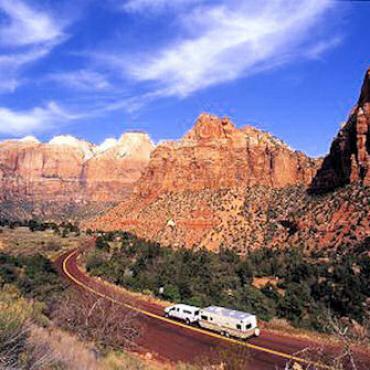 At Mount Carmel Junction you take the highway all the way to stunning Zion National Park. 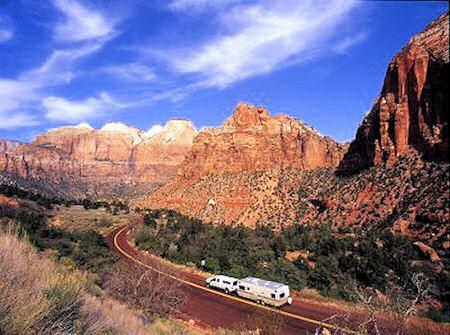 Check out the seven-mile Zion Park scenic drive – a great ride! Overnight St George, Utah. Today it’s time to head back to Las Vegas. En route you might want to stop at the historic town of Mesquite, situated at the state line of Arizona and Nevada. 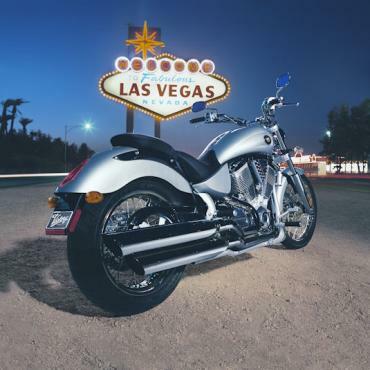 Upon arrival into Las Vegas, take a farewell ride along the famous Strip before dropping your Harley-Davidson back to EagleRider’s Las Vegas depot. 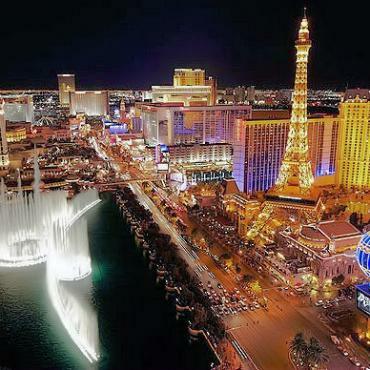 Overnight Las Vegas. Spend your final morning on the Vegas strip before heading back to the UK. Want to extend your holiday? Perhaps a few days in California or a week on a Hawaiian beach? Call Bon Voyage to discuss the options available to you.